Be the Queen of the Pride. 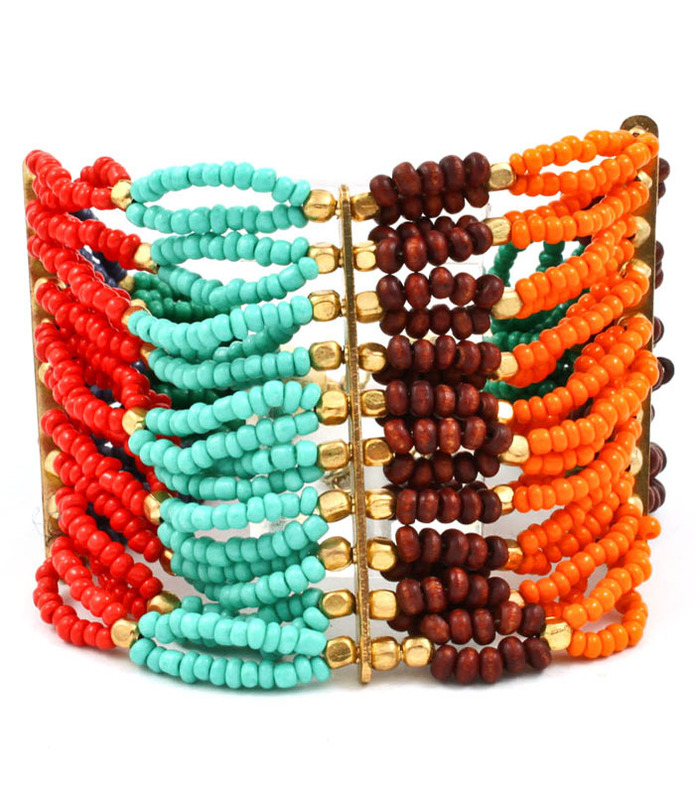 The Delilah bracelet sings an ode to the African sunset in a multi-strand cuff of vibrantly coloured seed beads and gold spacers on stretch. Wear for a roaring statement. Don't forget to check out our Clearance Shop where you'll find a huge array of discounted cheap jewellery.